DECEMBER 22, 2002. People who had been listening to BBC’s morning programme must have thought they had got the wrong channel. The radio was playing Vande Mataram. This couldn’t be true, you told yourself. Had the mandarins who run the BBC gone mad? Did they not know that when the British were ruling India, the song Vande Mataram was banned? That is Rudyard Kipling’s India, those who sang it were classified as ‘anarchists’, and that even to say the two words Vande Mataram was a criminal offence for which the usual sentence was a still jail term. All Three are patriotic songs, almost surrogates for national anthems. They ran away with the race. Love, religion, even Rock, Pop, or Rap, were not even among the also-rans. Who would have thought that Vande Mataram a quiet salutation to the image and the people of a vast land, could make the sahibs of the empire go pop-eyed with rage, or again, incite the youths of India to desperate acts of valour and martyrdom — and, at least in one case, to commit murder. This happened in 1909. The victim was the Collector of Nasik. A.M.T. Jackson, of the Indian Civil Service. Ironically enough, Jackson was a civilised and socially engaging person who respected scholarship and culture, and liked Indian music. He had made a study of Sanskrit literature and had taken the trouble to learn the language of his district, Marathi. Needless to say, he had made many friends among Indians who had no quarrel with imperial rule. But then as an official of the Government, he was a true-blue imperialist, someone to whom the Empire was a faith, sacrosanct, and those who opposed it were heretics, sinners deserving of no mercy. He was aware that his district, Nasik, was a hotbed of anti-British nationalists, who were the followers of the two Savarkar Brothers, Babarao and Tatyarao, and he considered it to be his god-given duty to put an end to their movement. At this time, in 1909, the younger Savarkar, Tatyarao, had gone to England, but Babarao was in Nasik, busy distributing seditious literature and inciting hot-headed young Indians to become revolutionaries. In England, Tatyarao was studying to become a barrister, but at the same time pursuing his revolutionary activities. He collected funds, acquired new followers, sent out a team to Paris to be trained in making bombs, wrote patriotic songs and pamphlets which he had published in Holland, sent to India camouflaged as the novels of Dickens and Scott this even though Scotland Yard was keeping a sharp eye on his activities. 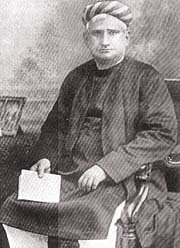 The ‘treasonable’ books that Tatyarao sent were circulated in India by his brother, Babarao, and that was the charge on which Jackson had him arrested. The evidence was thin and the trial judge dismissed it. But another offence, that Babarao Savarkar had himself written and published four patriotic poems, was proved in court, and that, in the days of the Empire, was like committing a murder. Babarao Savarkar, in his mid-twenties, was sentenced to life imprisonment and sent off to the jail in the Andamans. The severity of the punishment shocked the public, but to the handful of freedom fighters, their sense of outrage was marked by frustration and shame. They wanted to hit back; to kill Jackson. But they knew they could not do it with the lathis and dummy revolvers they used for their practice sessions. The revolvers they had been promised were still to come. These revolvers, 20 brand knew Brownings had been procured by Tatyarao, Savarkar in London. In March 1909, a man called Chaturbhuj who served as a cook in London’s India House, brought them to Bombay and there handed them over to Gopal Patankar. Three of these weapons with 30 rounds, were to be sent on to Nasik. Patankar could not find someone reliable enough to do the job till August, and that was when they finally reached Nasik, where a trusted lieutenant of the Savarkars, Anna Karve, took charge of them. In their secret discussions they had resolved that it would need at least three men with revolvers to make sure of killing Jackson, because none of them had so much as seen a proper revolver, and were not at all sure of their marksmanship. Anna Karve would head the team, and Vinayak Deshpande and Anant Kanhore, who was still at school would assist him. Early in September, Karve took his team to a lonely wood and tried out their revolvers by firing three rounds each at the trunk of a tamarind tree. All three managed to get their bullets to hit the target, but in the process, they had used up nine rounds from their stock of ammunition. It was now up to Karve to decide on the time and date of the assassination. Not for another three months," he told the other two. "But why?" they wanted to know. "My guru, Bidikar Maharaj says that 1909 is not a good year for such acts. We do it in January." Since it had been decided that, after committing the murder, they would give themselves to the police in any case, Deshpande and Kanhere were not convince that it was the real reason. "I’ll do it on my own," Kanhere offered. "No, we must be all there, so that there is no bungling." Karve told them. They were not happy with that decision, but agreed to go along wait until January. In the event they found themselves driven to act just before the year, 1909, ended.